Due to me changing job there is a slight lack of funds this month for this very expensive hobby lifestyle of mine. Therefore July is going to be dubbed our fitness month. Meaning we are going to be doing plenty of hacking and probably not too much schooling. I have one lesson booked for the 10th which I believe will be a flat work lesson. The instructor said he would like to get on and get a feel for my mare which I am more than happy with him doing. I like to watch the look of “how dare you!” on my mares face as I help another rider on. Also it is a very good chance for me to take a step back and have a proper look at her with a diiferent rider on. With the warm weather and followed by rain then more warm weather the grass is growing fast and so is my mares waist line !! Also the energy that comes along with meaning that she’s quite happy to gallop around the field for 20min before catching. She does a lot circling which I will discuss in another post. Anyway the best way I have found is letting her do her thing and quietly wait because the moment she gets any rise out of you, she knows. When she decides not to catch but her coat is looking so shiney why not take a picture! In August we have the farrier,saddler and of course the horse trials (spectating not competing), so it will be reasonably busy compared to July. I need a saddler out as my saddle is lifting when I jump and while I have it padded up right now so that it is comfortable I will still require it to be properly fitted and this may mean selling the one I have and buying a new one but we will see what happens. Since we are pottering around the lower levels in both the jumping and dressage spheres I don’t particularly want to invest in a jumping or dressage saddle right now, I would prefer to stick with a general purpose saddle. We also have the farrier right at the start of August this means that while she is sleepy under the sedation for the farrier this will be a chance to get her clipped. Yes, I sedate my mare for the farrier but that is a whole other story that I will tell later. 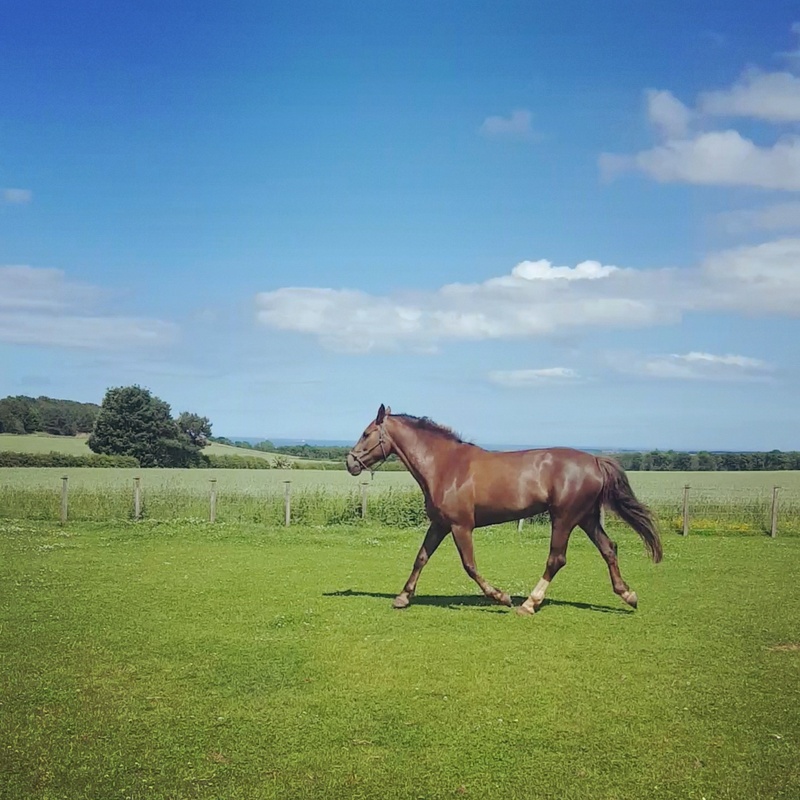 There is also a dressage competition in August – date to be confirmed – that I would like to enter a prelim class in but if this clashes with the horse trials we will wait for next month’s competition. That’s one of my biggest pet peeves with horses. My mare just started doing it and it drives me crazy!